Well done to Keith O’ Connell, whose short film, ‘Home Sweet Home’ won Best Short at the Mutant Shorts competition last Thursday night, and to the runners – up: Hilary Williams with ‘Crab Murder’ and Fiona Dowling with ‘Kitchen’ . Well done to all who entered on a great selection of shorts. 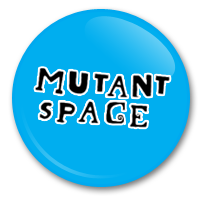 More info to come..
New page for film pics and stories..
Just added a new page where we’re posting photos and stories about each Mutant Short, so that everyone can share their filmmaking experiences. So far, we have four films covered, but would love more pics..keep them coming please! So, like we said below, there are now 27 registered teams, and believe it or not it’s only a week to the actual event! Entry is €5, which covers Mutant Shorts and the other events taking place in the Savoy that night. (Click here to read about all events.) Those who submitted a film, however, will receive free passes by email. The entry fees are used to cover costs, and anything left over will go into production costs for the next event. There’s more good news for the filmmakers: Cork Film Centre have improved the prize so that the free equipment rental now includes access to a Final Cut Pro editing suite. The films will be judged by members of the Film Centre itself. So the Mutant Shorts deadline has come, and we’re glad to say we received 26 27(!) registrations in total. It’s a great response to the competition, no doubt encouraged by the prize for November’s Best Film which (need we remind ye) is five days free equipment rental. A lot of applications came rolling in at the last minute so the extended deadline proved a good idea! Now we can sit back and wait for the movies to arrive. Here’s hoping all goes well for the 26 teams. Best of Luck! Just reminding ye that the deadline for registering, if you’re planning on entering a film, is Monday November 9th. So far we’ve had 14 registrations and counting..so if you wanna be in on the act, get your skates on! Just a quick post to let ye know that the prize for Best Film, as sponsored by Cork Film Centre, has been confirmed. And the prize is…5 days use of a HDV camera, a boom mic and a basic lighting kit, so the winners will have no excuse not to continue with their filmmaking careers! October is flying and the original registration deadline date of October 30th suddenly seemed to loom over us..so we’ve decided to move it forward to November 9th, giving people plenty of time to decide if they want to make a movie or not. In other news, Cork Film Centre have decided to sponsor a prize for the Best Film. Keep your eyes on this blog for more info over the next day or two..